Look at any map of Southeast Asia and the obvious, strategic importance of Thailand stares back up at you, sitting very comfortably as it does nestled up against the borders of Cambodia, Laos, and Myanmar. Foreign Direct Investment (FDI): “Southeast Asia was the world’s “main FDI growth engine” last year, according to United Nations Conference on Trade and Development (UNCTAD), with inflows up 11% to a record $145 billion. Not only did FDI in the region top that of Europe, it was slightly more than what China received and almost three times as much as South Asia. About the size of Spain and boasting a population of 69 million, Thailand is a modern, highly industrialized dynamo with an excellent infrastructure for transportation, power, and water. Other than water from the four great rivers that wash through Cambodia, Laos, and Myanmar, each is light years away from being an industrial dynamo or having anything remotely resembling a satisfactory transportation system. All four, however, have and will continue to have a remarkable growing need for automation, especially an appetite for robots. A sense of Thailand’s future robot growth can be seen in its most automated, robot-intensive industry: vehicle production. Thailand’s vehicle production of 1.92 million units (better than either UK or France; best in the ASEAN), utilizes fewer robots at Thai factories than the same plants use in their home countries. For example, “Mitsubishi’s plants in Japan, robots do about 90 percent of the welding. In Thailand, 40 percent.” The reason given by automakers is that wages in Thailand are one-fifth of those in the home country, so they employ more human workers on the auto lines. However, vehicle sales in the burgeoning ASEAN middle class are “expected to climb 53 percent” by 2020 and humans, regardless of the number of low-wage workers employed, will not be able to keep up with the production demands of speed and quality. Robot deployments will rise, like filling the difference between welding at 90 percent as opposed to 40 percent. 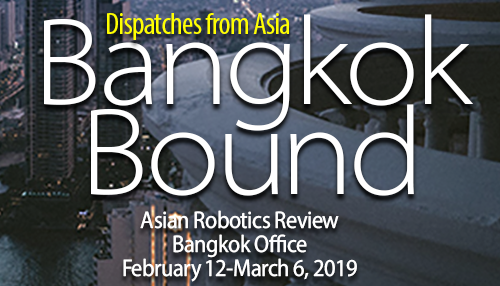 With Thailand importing 4,000 robots in 2017 (world’s 8th overall leader) and with 64 percent of those robots going to the automotive, electrical, and electronics industries, two things are immediately made clear: 1. Automotive is going to add many more robots to replace humans on production lines; and 2. The balance of 1400-plus robots deployed for industries other than automotive, electrical, and electronics are way not enough for a country with a GDP of $455-plus billion (2017). Sales for 2020 are projected to reach 5,000. According to the Thailand Institute of Field Robotics (FIBO), some $8.3 billion is spent annually on importing automation and robotics gear. The three highest in demand are: conveyer systems; computer numerical controls (CNCs), robots, automated storage and retrieval systems (ASRS); and high precision machines. To its credit, Thailand is moving on multiple fronts to push automation ahead. The government is aiming for an initial investment of $362 million in 2019, expanding to $6 billion over the next five years. OK, so far so good. A stage is being set for the importation and assembly of many more robots and automation tech. Nice, support from powerful allies who are already vested in the Thai economy. The Eastern Economic Corridor and Thailand’s launch into Thailand 4.0 are off to an impressive start, if momentum can be maintained. And if you are Cambodia, Laos, Myanmar, with a powerful neighbor going digital like Thailand 4.0, well, that’s a good thing. If you are Vietnam, with an already burgeoning economy, having Thailand as a nearby resource could make all the difference. Digital sprawl has a habit, sooner rather than later, of spreading into new markets in search of lots of new consumers. 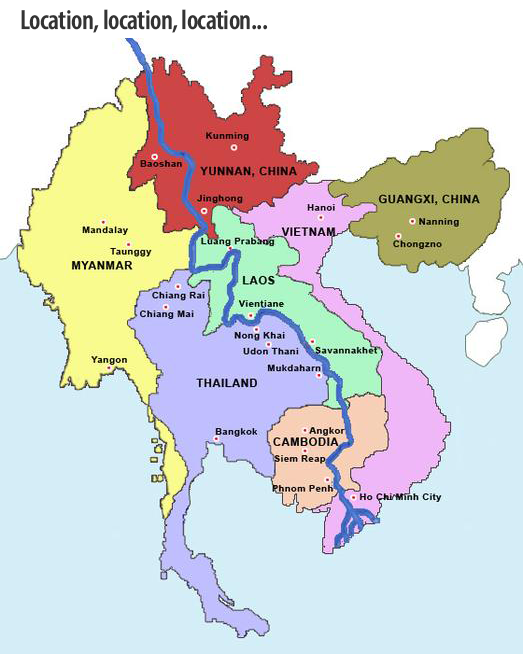 Cambodia, Laos, and Myanmar are a combined 76 million people…16 million more than the population of Thailand. Doubling its consumer base should be epic incentive for Thailand! But, can and will Thailand deliver?